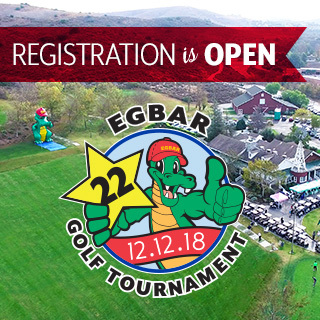 The EGBAR Foundation's 22nd Annual Charity Golf Tournament will take place on Wednesday, December 12, 2018. The tournament is the Foundation's primary fundraiser, and last year succeeded in raising over $175,000 for its benefactors, the Gary Sinise Foundation, the Bolsa Chica Conservancy, and Amore for Dogs. The EGBAR Foundation will be back at Strawberry Farms Golf Club in Irvine, Calif. 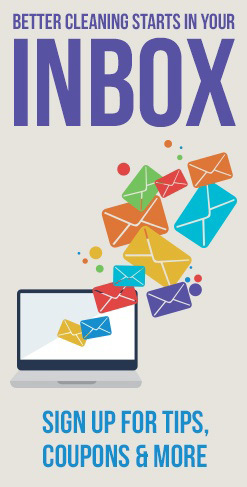 Registration includes a full day of activities including 18 holes of golf, wine tasting, dinner, and numerous opportunities to win outstanding prizes in a raffle, silent auction, and live auction. To register for the event, become a sponsor, make a donation, or contribute raffle or auction items, visit egbar.org/golf-tournament-overview. The EGBAR Foundation was established in 1989 by Founder, President and CEO of Simple Green Bruce FaBrizio to clearly demonstrate the corporation's steadfast commitment toward environmental and educational concerns. The EGBAR Foundation is focused on making a positive impact on the planet through the support of community level education and volunteer programs. EGBAR is an acronym for Everything's Gonna Be All Right. This positive sentiment, along with a "think globally, act locally" approach to impacting change, are at the core of the Foundation's activities. For more information, please visit egbar.org. Simple Green is trusted globally for high quality, environmentally safer cleaning products for home, professional, commercial and industrial use. The company is committed to developing products that provide affordable alternatives to commonly used hazardous, abrasive and toxic chemicals. Their line of cleaners, degreasers, disinfectants, deodorants, detergents, polishes and industry-specific specialty cleaners provide superior performance and proven efficacy, all while reducing chemical exposure that can cause harm to people, equipment, and the environment. For more information, please visit simplegreen.com. Launched in 2011, the Gary Sinise Foundation honors the nation's defenders, veterans, first responders, their families and those in need by creating and supporting unique programs designed to entertain, educate, inspire, strengthen and build communities. For more information, please visit garysinisefoundation.org. The Bolsa Chica Conservancy, located in Huntington Beach, Calif., is a private, non-profit organization established in 1990 to advocate education and public awareness, restoration and preservation of the Bolsa Chica Wetlands. Its principal mission is to inspire all generations through community involvement, leadership and hands-on science education on coastal resources, watersheds and wetland science. For more information, please visit bolsachica.org. Amore for Dogs is a non-profit organization founded by fitness celebrity and glamour model Viviana Soldano FaBrizio and Simple Green CEO Bruce FaBrizio. The foundation utilizes Viviana's passion for modeling and love of dogs to rescue dogs in need and find them loving families. For more information, please visit amorefordogs.org.